There are many people who just love to watch Bollywood celebrities in action at different types of concerts. Many of the youngsters of both the genders are also found to travel long distances to meet their favourite superstars, view their actions in live, listen to their dialogues, hear their songs and get their autograph personally. These do form warm memories and can be cherished and shared proudly with the others. If you are one among those Bollywood fans, then Bangalore is the right place to be. As a matter of fact, people from the other southern regions of the country are said to visit here frequently to be a part of the action that goes on here throughout the year. This region is known to have a young, vibrant and highly active crowd that loves to participate in various types of events. Unlike other cities, Bangalore having a wonderful cool climate is indeed a much cooler place to watch various types of Bollywood events taking place here, every now and then. Scouring through the web and checking out one of those trustworthy websites can help you to come across the details of the different types of concerts and events that are being organized here. Ayushmann is an upcoming handsome and highly talented Bollywood star who has already done some hit pictures with some of the beautiful heroines of the industry. He is a multi talented person who has earned stardom for his acting, selecting those ‘hatke’ movies that are indeed a great delight to watch. He also is known to be among the leading anchor and host at numerous Bollywood shows and knows how to make the audience to get mesmerized with his comic timings and dialogues. This young and lively actor is presently ranking high among the best actors in the country and is known to offer power packed performances. He also enjoys good attention among fan following is a favourite among his directors, producers and co-actors. Ayushmann is also known to be a talented singer and even has written few songs and sung them at few movies! He has a good voice thus capturing the attention of the audience at the Bollywood shows. This has only made him to be among the most wanted Bollywood actor by the fans from all over the country and Bangalore city is not an exception. 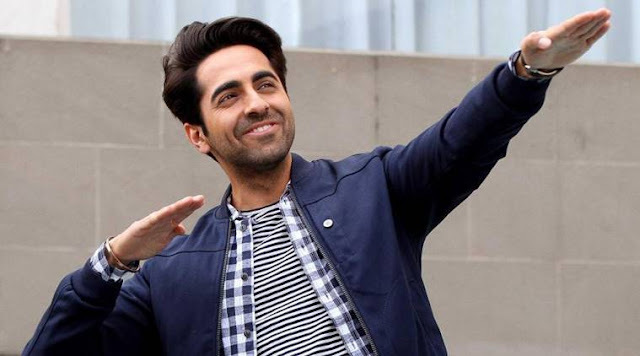 To meet the demands of the growing number of fans in the city, the organizers here have hosted a live concert that will witness the much favourite Ayushmann Khurranna in action. Known for his entertaining speeches, dialogues, song, actions and dance moves, he is sure to set fire on stage this June 30th. Since there is expected a complete sell out, it will be wise on your part to grab your choice of ticket without any delay. You can buy your ticket for yourself as well as your friends online within your budget and enjoy every moment of the concert.